that change lives, but it is also heartbreakingly romantic in places. From the bestselling author of The Rules of Magic, a miraculous, enthralling tale of a woman who is struck by lightning, and finds her frozen heart is suddenly burning. Be careful what you wish for. A woman who was touched by tragedy as a child now lives a quiet life, keeping other people at a cool distance. She even believes she wants it that way. Then one day she utters an idle wish and, while standing in her house, is struck by lightning. But instead of ending her life, this cataclysmic event sparks a strange and powerful new beginning. She goes in search of Lazarus Jones, a fellow survivor who was struck dead, then simply got up and walked away. Perhaps this stranger who has seen death face to face can teach her to live without fear. When she finds him, he is her perfect opposite, a burning man whose breath can boil water and whose touch scorches. 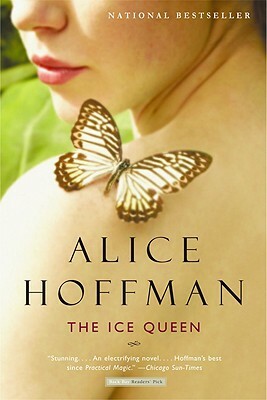 As an obsessive love affair begins between them, both hide their most dangerous secrets--what happened in the past that turned one to ice and the other to fire.